Tucked into the southeast corner of Michigan, Waterford Township is home to families, friends, and their businesses. 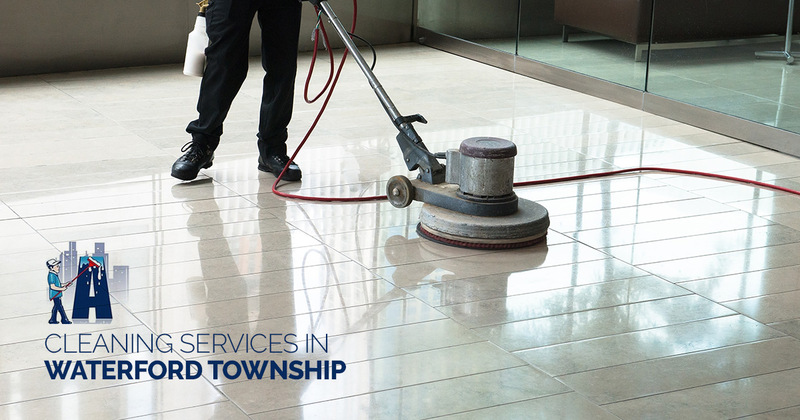 Like all great communities, Waterford Township takes pride in its appearance, that’s why it’s so important to have regular cleaning work performed on your business. For Waterford Township business owners, there’s only one janitorial service that they trust with their workspaces: Augies Janitorial Service. We’re proud to serve our community and offer a complete array of cleaning services for any size business. From upholstery shampooing, floor stripping and refinishing, and restroom sanitizing to window cleaning, concrete polishing, and so much more, Augie’s offers the cleaning services your business needs at prices your budget will appreciate. For businesses looking to improve the appearance of their workspaces, lobbies, and sales floors, a commercial cleaning service is their best bet. Not only does a commercial service like Augie’s have access to the right cleaning products, materials, and technologies, they are also trained to make any space shine. While some business owners see this as one more expense, using a commercial cleaning company is actually a wise investment. Rather than have your staff spend their time cleaning up a dirty bathroom or wiping down a grimy window, let them spend their time doing their actual job. Instead, hire us! 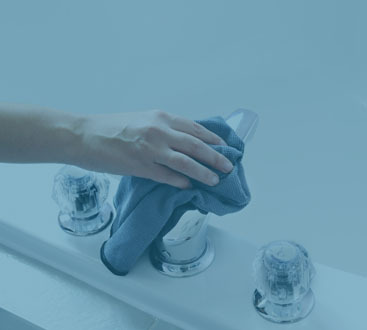 Not only will hiring a cleaning service free up your employees’ time, we’ll do a better job. Because your workspace will be cleaned the right way the first time, you won’t have to pay a second time to have your building cleaned as thoroughly as you wanted. Not only will your employees appreciate the chance to pay more attention to the work, your customers will love stepping into a well-cared-for space. Whether its a commercial space like a small shop or an office for a lawyer or insurance agent, a clean space makes an important impact on your customers. After all, first impressions matter, and if your clients are impressed by the appearance of your business from the moment they step inside, they’ll likely feel impressed by the quality of your other services as well. Customers spend more time in businesses that are welcoming and clean, so you’ll make more money, far more than what you paid for our cleaning services. Sure, you might do some serious spring cleaning every year, but we guarantee you’ll be impressed by the quality of our work. As a professional cleaning service, we’ve developed a seasoned eye for dirt, grime, and stains. We’ve also developed the best practices and methods to wipe all of those things away. We accomplish this by offering nearly every cleaning service you can think of. Whether your floors are hard surfaces, like wood, laminate, or concrete, or you have delicate carpet, we’ve got a specialized cleaning regimen that will make your floors as good as new. We also offer day porter services, so our team members can quickly respond to the various spills and mishaps that happen throughout the workday. Finally, we’ll keep your business looking great inside and out. We offer groundskeeping services that help to keep your walkways clean and accessible. We understand that work can get busy, especially if you own your own business. Between managing schedules and staffing and running meetings and sales calls, you’ve got a lot on your plate, and that can be stressful. Adding cleaning to your already extensive to-do list is just one thing too much. Hiring a cleaning service like Augie’s Janitorial Service is a great way to reduce the stress of the workday. Rather than racing to refill the paper towel dispenser in the break room, let us do it! Rather than plunge that overflowing toilet on the second floor, we’ll take care of it! There’s no need to concern yourself with keeping your business clean when you can have our professional janitorial team take care of it for you. Every time you walk into a space that one of our janitors has cleaned, you’ll notice how clean it is, and so you’ll feel confident in bringing clients and guests into any room of your business. Have you ever sat down at your desk, only to be shocked by the amount of stuff that has accumulated on it? Files from old accounts, invitations to a conference that was three years ago, a commemorative coffee mug from a friend’s business party. When you see all of this stuff on your desk, it can be hard to concentrate on your work. If you feel this way, your employees undoubtedly feel the same when they look at packed wastebaskets or dirty bathrooms. Our janitors can help to clear away the clutter of work life so that you and your employees can get back to work and do what they do best. A clean office runs like a well-rehearsed play. Everyone plays their part, and the show goes off without a hitch to critical acclaim. There are plenty of reasons to hire a cleaning service for your business. But when you’re ready to hire one, who do you choose? The obvious choice, of course, is Augie’s Janitorial Service, but in case you’re not entirely convinced, we’ll explain why we’re the perfect fit for your Waterford Township business. Sure, we’ve all got some experience cleaning. Cleaning is part of being good homeowners and neighbors, ensuring our homes reflect our values. But experience in cleaning your home doesn’t always translate into experience in cleaning an office. You’ll only want the pros to clean up your business, and you only become a professional cleaner by practicing your craft for many years. In our case, Augie’s Janitorial Service has been in business for more than 20 years. In that time, we’ve mastered the art of office cleaning, using techniques and solutions that you may have never even thought of. And we’ve learned from experience that there is always more to learn. We deliberately seek out ways to improve our services and skills. If you still aren’t convinced that using a cleaning service can save you money, at the very least you’ll appreciate the ways we try and save you money. 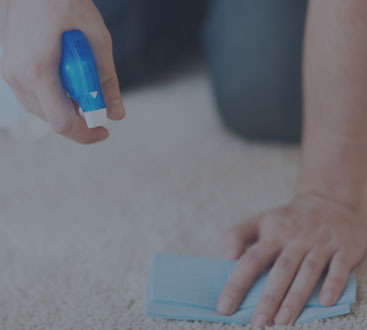 We structure all of our cleaning services around a competitive pricing structure that makes our top-tier cleaning services available to businesses of all sizes. Whether you need our cleaning services once-a-day, once-a-week, or once-a-month, we’re here to help and provide you with quality services that far exceed our reasonable prices. The fact is that nearly anyone can pick up a mop and bucket and call themselves a janitor, but that doesn’t make them a good one. A great janitorial service should offer a wide variety of cleaning services. Our service offerings are just one of the few ways Augie’s Janitorial Services stands above our competitors. We’re not content to just clean your office, we want to develop a complete cleaning program for you. In addition to traditional cleaning services like floor and carpet cleaning, windows, and groundskeeping, we also offer our cleaning consultation services. Together, we’ll help you find ways to keep your business cleaner longer, and how to minimize how much you’re spending on cleaning. Plus, we offer green cleaning supplies and products, so not only are we keeping your workplace clean, we’re keeping the environment clean. A quick google search for “cleaning services in Waterford Township” might pull up a litany of cleaners and their hours. But before you blindly click on the first listing, take a minute to read some reviews and references. You’ll find that there are some key factors that separate us from our competitors. We pride ourselves on the professional and courteous manner in which our team members conduct themselves. We also take the time to learn the ins and outs of your workplace to ensure that it is kept at its cleanest. Don’t believe us? Just read a few of our testimonials, and hear it from our happy customers. They see the value in our work, and we hope you do too! Should My Business Have A Cleaning Service? Short answer, yes. Long answer, absolutely. Any and every business can benefit from having a professional cleaning service take care of the appearance of their workplace. Whether you rent a simple office suite, or own an entire, elaborate retail store, our cleaning services are there for you. To ensure that your business is cleaned carefully and thoroughly, we design an individual cleaning and care plan just for you. That means you won’t get a simple wipe down, but instead you’ll get a deep clean every time our janitorial team visits your business. We’ve already mentioned some important benefits to having your office or business professionally cleaned. Your employees will feel more relaxed, they’ll feel more productive, and you’ll save a bunch of time and money as a result. But the importance of a clean workplace extends beyond just these benefits. The fact of the matter is, it’s easy to get sick at work. With so many people coming and going all the time, who knows what they’re tracking in with them. Our cleaning services work to sanitize your workspaces, ridding your office of harmful germs and bacteria that can turn your star sales person into a sneezing and sniffling mess. Other cleaning companies are content to just dust down your office, and maybe restock your toilet paper in the bathroom. Not us. We take your health seriously. That’s why we use techniques and cleaning solutions that kill germs and bacteria wherever they can be found. We take the time to sanitize your door knobs, bathrooms, keyboards, water fountains, and so much more. Your employees will stay healthier longer this way. And it’s not just their physical health that will receive a boost, but their mental health too. Employees that come into a clean place to work are happier and more productive. They’ll feel more satisfied with their job knowing that their employer cares about their working conditions and their health. The fact is, your business stays in business longer when it’s cleaner. A cleaning service, like Augie’s Janitorial Service in Waterford Township, can help your employees stay healthy, productive, and happy. That translates into more customers to work with, a wider audience, and increased sales. All because you arranged for a regular cleaning service. At Augie’s Janitorial Service, we recognize that no two businesses are alike, and that applies to your cleaning needs too. We offer custom cleaning services that meet the needs of your business, so you never have to settle for anything less than the best. If you’re not sure just what in your office needs to be cleaned, give us a call. We’re happy to provide you with our cleaning consultation service. We can also provide you with an estimate for our services, as well as any other cleaning recommendations we may have for your unique business. Don’t wait, contact Augie’s Janitorial Services today!